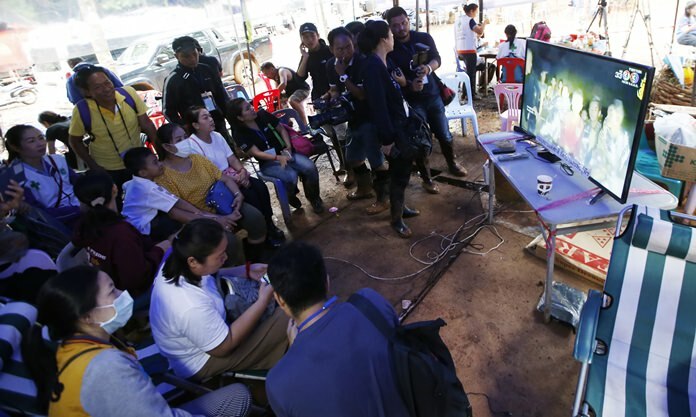 Mae Sai, Thailand (AP) — The Thai soccer teammates stranded more than a week in a partly flooded cave said they were healthy on a video released Wednesday, as heavy rains forecast for later this week could complicate plans to safely extract them. The 12 boys and their coach are seen sitting with Thai navy SEALs in the dark cave with their visibly skinny faces illuminated by the beam of a flashlight. The boys, many wrapped in foil warming blankets, take turns introducing themselves, folding their hands together in a traditional greeting and saying their names and that they are healthy.